And lo, once the Christmas break was over Morgan did deem it appropriate enough to compose himself to gift the readers of CULTURED VULTURES with the second in C.V.’s two part bumper edition of PULSE, and the readers thought it good. He hoped. 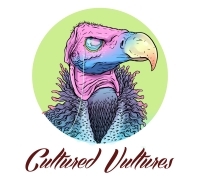 But yeah, you might remember from just before Christmas, we Cultured Vultures dropped off the first part of PULSE: NEW MUSIC YOU NEED 2015, introducing you lovely lot to 20 bands, musicians, artists, and you-name-it-we-introduced-its that you needed to keep a ear out for in 2015. Well, just as 2014 has fucked off and 2015 is raising its groggy head, let’s get it off to a good start with part two and 20 more for you to be keeping your ears out this year. It’s gonna be a good year for music. Happy New Year! The Thea of Thea & The Wild is one Thea Glenton Rakes, an incredibly talented Norwegian singer, songwriter, multi-instrumentalist, and producer, who has already made a name for herself in the music industry of her homeland doing a little bit of all those and everything. However, with her latest project, Thea & The Wild, Thea released a strikingly brilliant debut, Strangers and Lovers. The success of that album in Norway, and online, is seeing it receive a UK release in January. Given the strength of the album’s grasp on alternative pop that dwells in melancholy spaces but twinkles with sparks of euphoria through uplifting synths and Thea’s angelic vocals, 2015 is going to be a great year for Thea in the UK and beyond. Southampton four piece Pale Seas have had themselves a rather good 2014 thus far with the release of their debut EP, Places to Haunt, which is perhaps one of the prettiest yet despairing releases of the year as it drifts ghostlike in melodious melancholia, haunting harmonies, and macabre lyrical themes of death, despair, hopelessness, and alienation. However, like so many great indie bands before them that have waded the darkest depths whilst plundering the prettiest (almost) pop, Pale Seas delve into the sorrow not to wallow but find a way out, to find some hope hidden in there. It’s a great EP that verges on an acoustic and clean kind of shoegaze, that the band have already recently followed up with hints of more to come from them in 2015. Sylvaine is a kind of one-woman-musical-smoke-machine, in the sense that this year she wrote, recorded, produced, and played everything on her atmospheric debut album, Silent Chamber, Noisy Heart. Okay, she didn’t play the drums on it, but goddamn it give her a break, she also completed a tour of South America in support of French shoegazers Alcest this year. 2014 has clearly been a busy year for Sylvaine, and 2015 will be the year she truly reaps the rewards of her hard work. Silent Chamber, Noisy Heart is an astonishingly accomplished debut that works its way into getting post-rock, folk, shoegaze, doom, ambient metal, alternative rock, goth, and art pop lost and found in the mists and fogs Sylvaine’s one-woman-musical-smoke-machine. 1. ZIBRA love obsolete equipment and building synthesisers from scratch. 2. ZIBRA are the sound of a VHS tape chewed up in an electrical system. They make their own music videos or rally in their friends at the camcorder-obsessed production team Youth Hymns. 3. Lead singer Sam Battle lives in a squat in Tottenham on the Broadwater Estate in London, which used to be a retirement home for the elderly. What else you need to know is that 2014 so them shaking things up with glitchy, noisy, clattering ramshackle and pulsating energy fuelled electro-fied indie/post-punk, transforming a dance classic, and getting into the studio with Simon Katz (Youngblood Hawke, Digitalism) and Mark Ralph (Clean Bandit, Years & Years). Make sure you’re ready for them full swing in 2015. Self-described pioneers of ‘Cymrucana’, Climbing Trees have been in the works and woods of South Wales since 2011, not just climbing trees but actually making some music in the process. I like to imagine whilst climbing trees, perhaps each member on a separate tree all set up on strong branches playing in unison throughout a forest. When they film a music video with that concept, I’m going to sue. 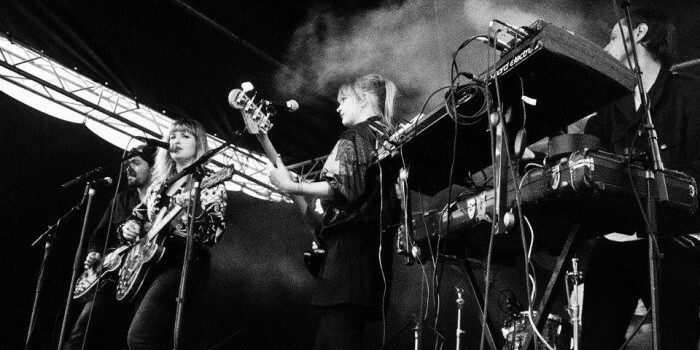 Anyway, the four piece from Pontypridd have been developing their Cymrucana since 2011 through relentless touring, writing, and recording, which has seen them receiving some considerable acclaim, especially in relation to their 2013 debut album, Hebron. However, it’s 2014 that has seen them hit the hardest, touring endlessly, making a big impact on festival season with their blend of folk, Americana, gospel, country, and blues, and beginning work on their follow-up album.